There once was a man called Jack. Who had a very-very-very bad back. People called him the ripper, because he had a bid dipper, and always carried with him a brown sack, TA-DAH! Well, the old poem goes something like that anyway. Personally speaking, I like my ripper lore with a bit more guts in it. Just like this 1988 stage production hosted by Peter Ustinov and a whole host of experts with lasted for 80-minutes in 1988. 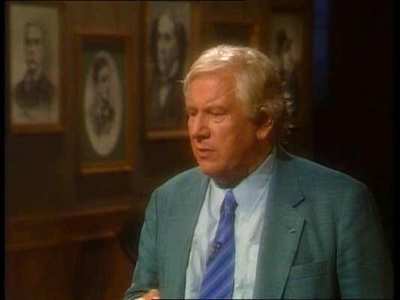 On the one hundredth anniversary of the Jack the Ripper killings, star of stage and screen, Peter Ustinov, hosts a special program to reveal and inform the live studio audience of his crimes. Now to aide him in this dauntless task, is the reporter, Jan Leeming, who interviews a plethora of experts in this field, such as historian and criminologist, Melvin Harris; noted crime novelist, Frank Spiering; plus two university teachers and true crime writers, Martin Fido and Paul Begg. Also, to illustrate visually the chronicling of these crimes, are a number of re-enactments produced just for this show. Who did Jack the Ripper kill? Mary Ann Nichols – 30 to 35, 5'2" tall, married, five children, brown eyes, dark complexion, five teeth missing, clean, and an alcoholic. Annie Chapman (Dark Annie) – 47, 5' tall, separated from her husband, three children, blue eyes, pallid complexion, suffering from tuberculosis, and had a drinking problem. Elizabeth Stride (Long Liz) – 45, 5’4” tall, estranged from her husband, Swedish, pale complexion, missing teeth, seamstress, occasional prostitute, and was frequently charged for being drunk and disorderly, sometimes with obscene language. 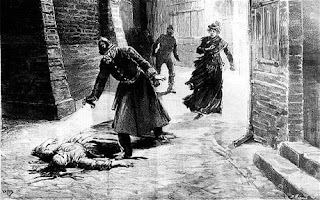 Catherine Eddowes – 46, 5’ tall, married, children, hazel eyes, suffering from bright's disease, and an intelligent and scholarly woman, was possessed of a fierce temperament when drunk. Mary Jane Kelly – 25, 5' 7" tall, estranged from her partner, Irish, fair complexion, attractive, clean, and sober. Robert Stephenson – a journalist and writer interested in the occult and black magic. He had written a newspaper article that claimed that black magic was the motive for the killings, and alleged that 'the Ripper' was someone he knew. Montague John Druitt – a failed barrister and frustrated teacher, who was said to have been sexually perverse, and fingered to be the ripper by his own family. Sir William Gull – the Queens physician who was alleged to have been ordered to subdue these five unfortunate women, because of a liaison that Prince Edward Albert Victor had with a prostitute (Anne Crooke), who was living in the area. Prince Edward Albert Victor – he is said to have killed these women because he caught syphilis whilst abroad, and this illness made him mad and kill. Aaron Kosminski – he was a deranged polish immigrant, with a distain for women, and an unhealthy disposition. In attendance at this presentation are five scholars in the field of crime: John Douglas – William Eckert – William Waddell – Donald Rumbelow – and Anne Mallalieu. Each of these experts vocalizes in there own area of interest: (1) The motives of the murderer. (2) Who the suspect could possibly be. And (3) Why they think that this is to be the case. And in each instance, a bold and informative insight is given using modern day procedural methods – resulting in grounded conjecture and bold summations. 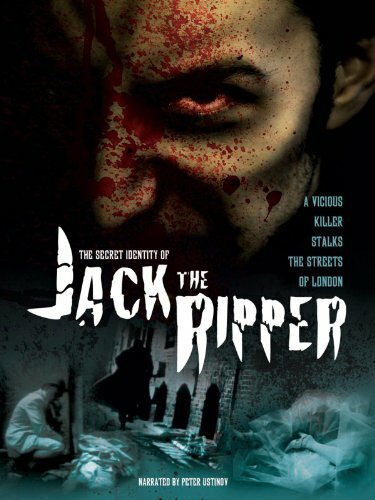 In my most humble opinion 'The Secret Identity of Jack the Ripper' is a good starting point for any budding 'ripperolosts' to understand (on a conceptual level) the history behind these crimes. Granted, for those of us who are quite proficient in ripper lore (like me for instance), it does seem kind of hollow compared to the usual five hundred page novel on this subject matter. But that’s a ripperologist for you – always needing more to satisfy their blood lust one way or another. Apart from my little niggle, though, this is a pretty good show, and delivers quite good information concerning all the victims backgrounds, as well as the motivations for the hand picked suspects. However, if this program had a week point, it would be this latter fact - ‘the hand picked suspects’ - too few, and with not enough clarity to why they were chosen. Please note, this program was made in 1988, so I have to take that into account for their poor showing. But still, whilst saying that, even in 1988 there were a lot more predominant suspects to choose from, all of whom would have been a much more valid subject for scrutiny, especially since the some differentiating facts have come to light over the years. You see, at the end of the program, all the experts give there views on who they think Jack the Ripper was, and why he did a hack and slash. And although nothing is ever definitive with their answers (which it never is where Jack is concerned) each expert gives really concise opinions on Jacks physiological – motivational – and conceptual profile, making what they say be brilliant thing, if Jack ever came back to life, and wanted to register on a dating website, HA! Seriously though, it is brilliant for the viewer too! 'The Secret Identity of Jack The Ripper' does lay down the framework of how this screw loose worked, and for why. Also, this is good show to watch for any fans of dear old Jack, or for those of you who are just interested in crime, and my pal Peter Ustinov (he’s always great). Moreover, let not forget that this program is a nice watch if you like to gage a comparison between modernistic crime techniques (well, for 1988), and those that were used in 1888 - it is very interesting.